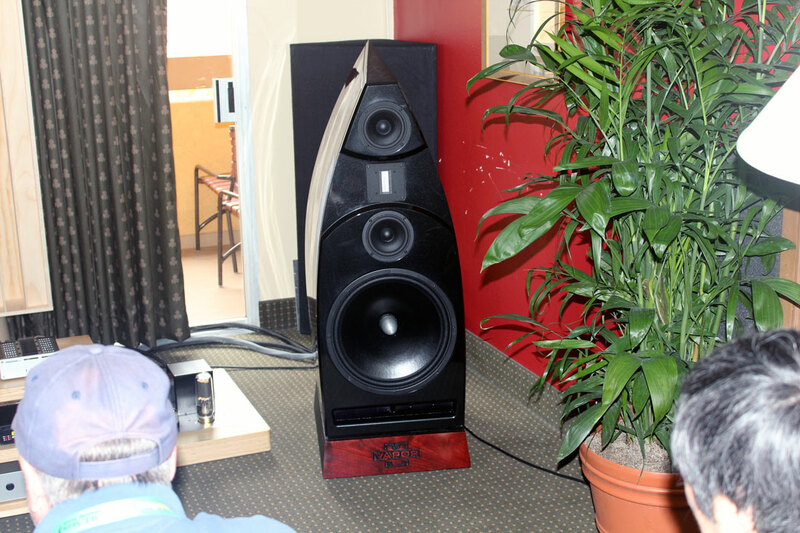 Red Wine/Briscasti/Harbeth – I thought Red Wine audio had one of the best sounding rooms at the 2011 Rocky Mountain Audiofest and thought so again. 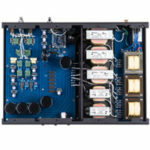 This time Vinnie Rossi introduced a Renaissance Edition Isabella preamplifier powered by a pair of Liliana R.E. 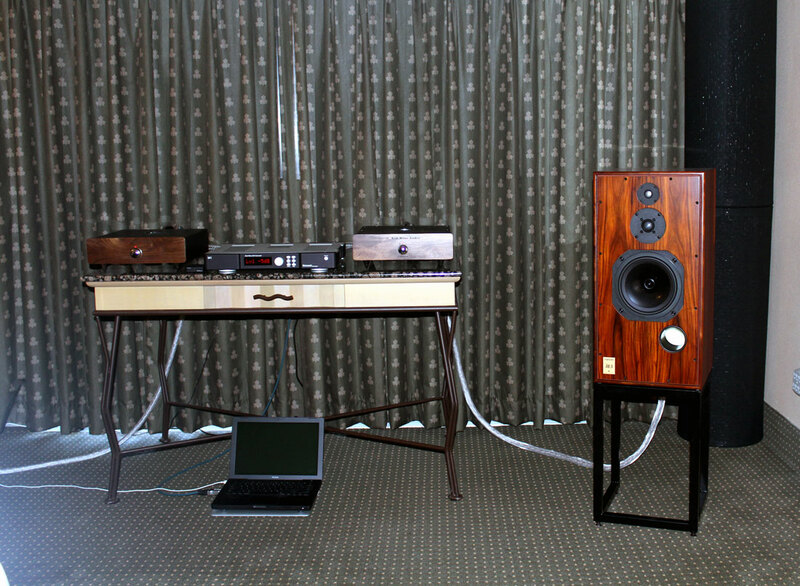 mono block amplifiers, which were connected to Harbeth SHL5 large stand mounted loudspeakers. 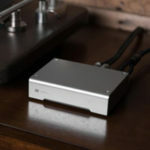 Source material was provided by a Macbook and files converted by the wonderful Bricasti design M1 DAC. When I think of battery powered audio components I think of Simon and Garfunkel’s “The Sound of Silence.” That is, musical notes emerging from a super quiet background and receding back to that quietness; much like live music. Mr. Rossi encouraged attendees to play their own music unlike some rooms which had their own musical agendas. I took advantage and played the title track of Noah and the Whale, “The First Days of Spring.” The song begins with a rhythmic beating of timpani. The reverb of the drum skin as it is struck is as realistic as I’ve heard in any audio system. As the song progresses more and more orchestral instruments are added and the sound did not get congested or strident like I heard in some other rooms. 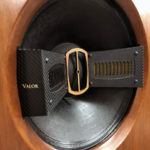 Vapor Audio/Empirical Audio/Arte Forma – I had a sneak peak of the Vapor Nimbus front baffle (though not the finished speaker) back in March because I regularly visit Audio Circle, an online audio forum. I was not prepared for the Vapor Nimbus to be so large when I entered the small room at the Atrium. 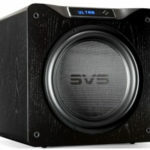 In past audio shows, my experience with large transducers in small hotel rooms has been that they are not a match made in heaven, more like a match in the other direction. Inevitably, there would be too much treble energy and bass boom but not so with this setup. With the Vapor Nimbus and its 15 inch woofer, a full complement of Empirical front end components and Arte Forma 40 watt SET mono blocs, the system (along with some well placed room treatment) was producing some of the most natural, clean and organic music at the show. Vocal presence was strongly palpable. The treble region exhibited great detail without calling attention to itself. Bass notes were articulate and clean with no overhang. There were no obvious room interaction problems that I could detect. The Vapor/Empirical/Arte Forma combination was like a heavyweight boxer light on its feet, being both ethereal and ephemeral when required, but packing a wallop when the need arose. 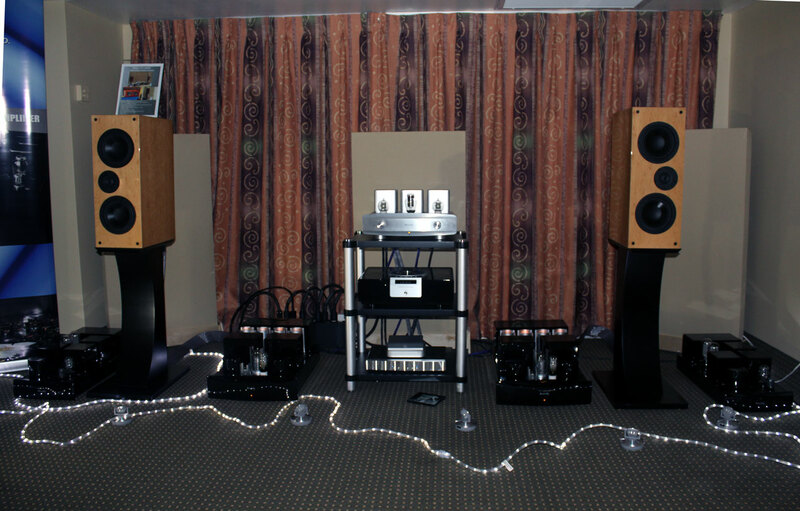 Angel City/Melody Valves/Spiritual Audio/MG Audio Design/Triode Wire Labs – Hugh of Angel City assembled a nice tube based system for this show, comprising of a Melody P2688 preamp, Melody MN845 mono blocks, and Angel City Trinity loudspeakers. Cabling was provided by MG Audio Design, power cords by Triode Wire Labs and AC conditioning by Spiritual Audio. Just like my favorite flannel pajamas, the sound emanating in this room was warm and cozy. Vocals and instruments had the appropriate pitch and timbre, providing a nice illusion of the real thing. The presentation just made me want to kick back, close my eyes and enjoy the music. Of course, the floor mood lighting contributed to my perception of a relaxed sonic presentation. Now if Hugh will only offer some wine for the next show, I’ll forget about reporting and just hang out in his room.